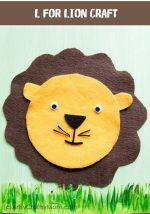 We move on to our next A to Z Alphabet Animal Craft with the Letter V. This craft is from our eBook – A to Z Alphabet Animal Crafts for Kids. Although vultures are really disgusting and gross in real life, in craft form, they are adorable. If you want to go through the alphabet using animals only, you almost have to use vultures as there aren’t as many animals that start with V! This feathered friend is often depicted lurking in spooky trees, and certainly seems to have a bit of a dark reputation. Perhaps this is due to its less-than-beautiful looks. Or it could be the fact that the vulture seeks out the scent of rotting carcasses for its next meal. Print the Craft template on an A4 or Letter Sized paper. Cut out all the parts – the white body, the red head, the black wings and the yellow beak. Use these cutout templates as your reference points and trace onto Felt. 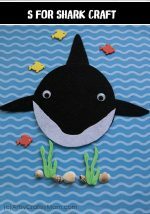 We used a 2mm stiff felt to make this craft. Alternately, you could use construction paper or craft foam in similar colors. Glue the body to the CD first. Then add the wings, head & then beak. 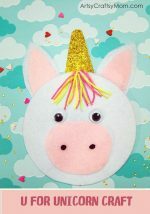 Glue the Nostrils and finally, Glue on Googly eyes and you are done. 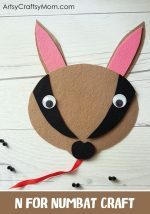 This printable V for Vulture craft is perfect for Kids aged 5 and above and improves their fine motor skills, visual perception, and hand-eye coordination. 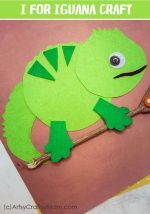 Parents and teachers can also make these at home or class and have their child or students assemble it independently. 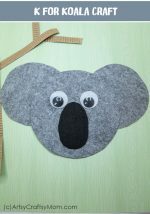 These crafts can be made by teachers and used as props, puppets, or even for classroom decoration. Vultures live in every part of the world except Australia and the Antarctica. Vultures usually eat carrion or dead meat. A group of vultures is called a committee. In flight, a flock of vultures is a kettle, and when the birds are feeding together at a carcass, the group is called a wake. Vultures enjoy their own holiday, International Vulture Awareness Day, which is celebrated on the first Saturday of each September.